What a fantastic wealth of information! 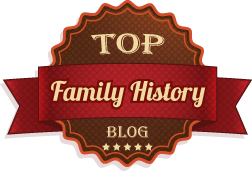 I would be honored to be allowed to visit this site to further my own family history research & to add to the information here. My mother is Rita Mae(Hemken) Haley. Her mother was Aida Jeanette (Park) Hemken. Her father was Chancey Frank Park. His father was Jacob Park. His father was Alfred Park. His father was Samuel Park. His mother was Suzanna (Elrod) Park. She was the daughter of Wilhelm Elrod, son of Johan Teter Elrod. Thanks so much for putting all of this fantastic information together.